ARLINGTON, Virginia, November 30, 2009 – – The Public Broadcasting Service (PBS) secured voice over talent Peter K. O’Connell as the announcer for the TV and web promotion of the national network’s new web series Fizzy’s Lunch Lab, beginning December 1, 2009. Fizzy’s Lunch Lab is a vibrant, fun and kid-friendly web-only series featuring original characters and funny stories that entertain and educate families about the importance of good nutrition, a balanced diet, and physical activity. Professor Fizzy and his friends in the super-charged Lunch Lab Test Kitchen prepare healthy snacks, investigate the difference between good and bad food, and learn what happens once the food you eat goes into your body. Each week, The Lunch Lab web site will release a new animated short video as well as a corresponding recipe for kids and parents to enjoy. Monthly food/nutrition themes will help guide the program’s message and the animated videos will reinforce concepts pertaining to the featured theme. This will make it easy for parents to extend the learning into the home. The site can be found at http://pbskids.org/lunchlab/. Peter is President of audio’connell Voice-Over Talent which provides English-speaking professional male and female voiceover services for national and international clients. The voice over needs of foreign language clients are served through another O’Connell-owned company, International Voice Talents. Mr. O’Connell also owns Voice-Over Workshop, which provides professional voice over training to novice and experienced voice talent world-wide. Back in the early 1950’s 😉 when I started out blogging about voice overs (and marketing and advertising), there were like…5 of us. 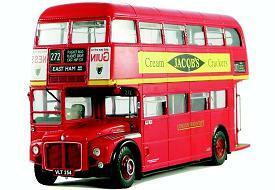 Now there’s a double-decker London bus full of voice over bloggers. While I think I have them all listed here and subscribe to them all, I know that the playing field changes fast and frequently. That coupled with the fact that some bloggers fall of the face of the earth or get bored with blogging means my list needs updating. If you’d rather not watch paint dry, you can always sift through a listing of voice over bloggers to see who is still actively publishing…the effect is the same but voice over blog list actually feels more tortuous. Example: one blog I THOUGHT I was subscribed to and had listed here was Paul Strikwerda’s blog called Double Dutch. Very good blog and you should subscribe. 2. If you haven’t already, please link back from your blog to this blog (audio’connell’s voxmarketising – is the proper name and the address is http://www.voxmarketising.com) So simple, even a caveman can do it. 3. If you have ceased blogging and are on my list, just ping me and I’ll pull you off the list. For many folks the economy has really ruined their year. That has been equally true for performance based professionals – voice talents, actors, disc jockeys, producers, directors, writers etc. I’ve been lucky with my business and I know it. So let me share with you a secret. 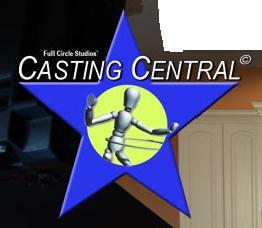 Full Circle Studios (yes two mentions in two days – they should pay me – and they’re not paying me for this) created a web site called Casting Central where actors, voice talent, models and agents within Western New York State can get a free listing. So when FCS clients want to check out possible talent for a production – it’s as close as a mouse click. Are you a talent who wants to get listed? Click here for details. If you’re looking for rumors or gossip, this is absolutely the wrong blog to visit. We don’t gossip or spread rumors here. Tisn’t nice and we’re a nice blog. So no rumors. But we’re OK with idle chitchat. So the idle chitchat we came across today involves one of our favorite topics – Olympic logos and the possible sighting of the new official logo for the 2014 Winter Olympic Games in Sochi, Russia. See that graphic up there…that’s supposedly it. 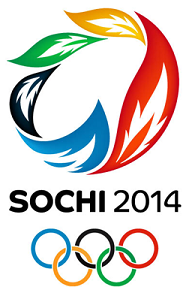 Now for their bid, Sochi submitted this logo which we here at voxmarketising were very fond of. But the new logo (if indeed it is the official logo) probably sets the correct tone for what this historic international competition should be: global, friendly and inviting. This would be likely positioning for the Games anywhere they were held and a valuable world branding opportunity for Mother Russia, whose legacy does not always evoke the warm and fuzzies in many places. I will miss the Sochi bid logo (which clearly did its job well) but hold great hope for the 2014 Winter Games under their new logo (if in fact this is the final choice, as it’s only idle chitchat presently). What do you think of the new/proposed logo? One of the reasons I am so focused on making sure voice talents continue to see a career in voice over as a business is because I’ve witnessed so many who get caught up in the joy of getting the work that they ignore the key detail within the “career” part of the equation â€“ getting paid. I have been VERY fortunate in my careerâ€¦less than a handful of times has any client tried to stiff me; I am bless with very professional and nice clients. You probably are (or will be) too. The overwhelming majority of potential or existing clients in our world are ethical people. 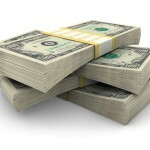 But a very few aren’t so my advice up front is that you create a process for every client where you have more control over how funds are delivered to you and you establish that control in your initial negotiations. I have a one page work order/agreement that lays out for the client (and, in the case of those few stiffs I mentioned, the courts) work, payment terms (am a big fan of payment upon delivery) and payment amounts. Professionals I work with don’t mind this a bit document one bit and in fact appreciate it. Understand that no matter your level of voice over experience, some clients will try and pull a fast one; these are people who are usually unscrupulous in all aspects of their lives and it may just be your turn to deal with them. Sorry, its your turn to take out the trash. it is difficult to get paid. Melroy D’Mello has sent you a message. I will send across payment by first week of next month. Sorry for the delay. Appreciate your patience and hope you can forgive this delay. today Sunday, October 25, 2009.
låna pengar with the help of Sambla but need approval from our manager. all emails to you. Thank you. has been 75 days since I sent these invoices. Thank you kindly for your prompt attention to this matter.